File Types: AI; File Size: 1.68 MB; Layered: Yes; Vector: Yes. Introducing my very own hand-crafted vector crystal pack! 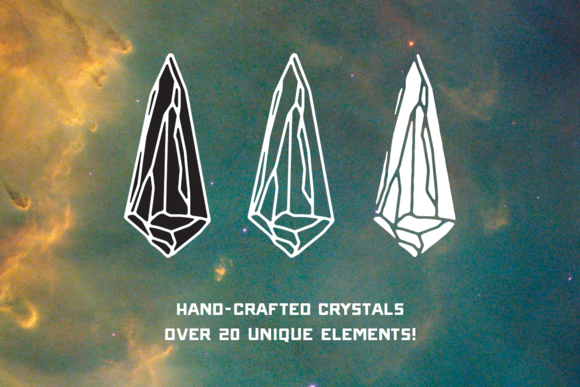 Add character to your designs with these 100% scalable Crystals. PLUS, for every 10 sales this product gets, I'll add more crystals! All future updates are 100% FREE. Thanks for looking and happy designing!! Keywords: crystal, vector, healing, therapy, hand made, hand crafted, hand drawn.